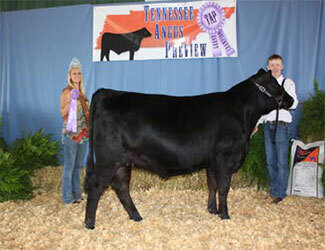 We will be having a Tennessee Junior Angus Meeting at Tennessee Beef Agribition. Keep an eye on our social media accounts for more information. There is a one time fee. June 3-4, in Lebanon, TN. Kaye Kaufman, Harrodsburg, Ky., evaluated the 45 entries. 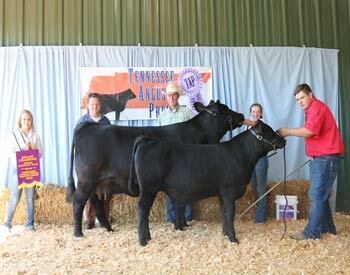 Photos by Alex Tolbert, American Angus Association. Shady Brook Revival 5001 won Grand Champion Bred-and-Owned Bull at the 2016 Tennessee Angus Association Junior Preview Show, June 3-4 in Lebanon, TN. Sophia Santini, Leoma, TN, owns the January 2015 son of Dameron First Class. He first won Junior Champion. AED Yeti 110C won Reserve Grand Champion Bred-and-Owned Bull at the 2016 Tennessee Angus Association Junior Preview Show, June 3-4 in Lebanon, TN. 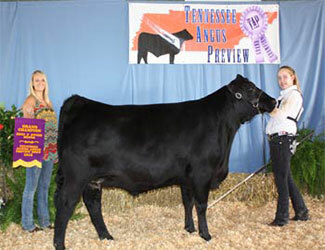 Allison Davis, Shelbyville, TN, owns the November 2015 son of PVF Insight 0129. He first won Senior Calf Champion. AED Katinka 414B won Grand Champion Bred-and-Owned Female at the 2016 Tennessee Angus Association Junior Preview Show, June 3-4 in Lebanon, TN. 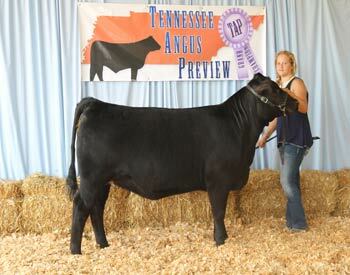 Allison Davis, Shelbyville, TN, owns the September 2014 daughter of S A V Pioneer 7301. She first won Senior Champion. AED Rita 533C won Reserve Grand Champion Bred-and-Owned Female at the 2016 Tennessee Angus Association Junior Preview Show, June 3-4 in Lebanon, TN. 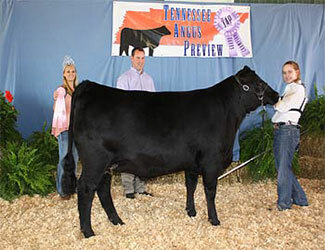 Allison Davis, Shelbyville, TN, owns the November 2015 daughter of S A V Angus Valley 1867. 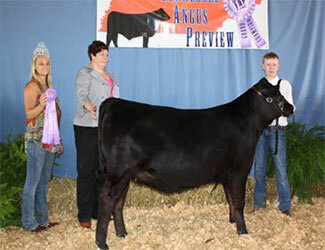 She first claimed Senior Calf Champion. EXAR Blackcap 0025 won Grand Champion Owned Female at the 2016 Tennessee Angus Association Junior Preview Show, June 3-4 in Lebanon, TN. Morgan Riley, Chapel Hill, TN, owns the February 2015 daughter of EXAR Turning Point 3510B. She first won Junior Champion. 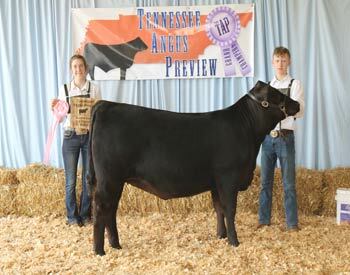 Gambles Georgina 3055 won Reserve Grand Champion Owned Female at the 2016 Tennessee Angus Association Junior Preview Show, June 3-4 in Lebanon, TN. 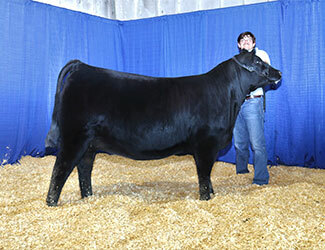 Mary Oliver, Union City, TN, owns the March 2015 daughter of HB Patton Superiority 4. 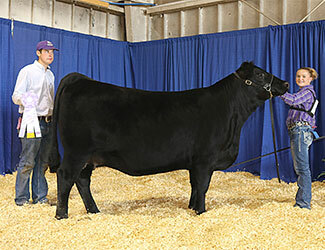 She first claimed Reserve Junior Champion. AED Rita 202Z won Grand Champion Cow/Calf Pair at the 2016 Tennessee Angus Association Junior Preview Show, June 3-4 in Lebanon, TN. 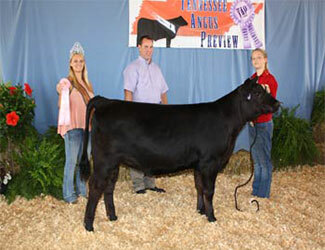 Allison Davis, Shelbyville, TN, owns the January 2012 daughter of S A V Final Answer 0035. A November 2015 heifer calf sired by S A V Angus Valley 1867 completes the winning pair. AED Rita 328A won Grand Champion Bred-and-Owned Cow/Calf Pair at the 2016 Tennessee Angus Association Junior Preview Show, June 3-4 in Lebanon, TN. 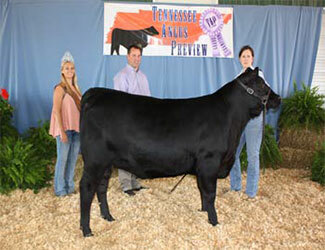 Allison Davis, Shelbyville, TN, owns the December 2013 daughter of Connealy Final Product. A November 2015 bull calf sired by PVF Insight 0129 completes the winning pair. 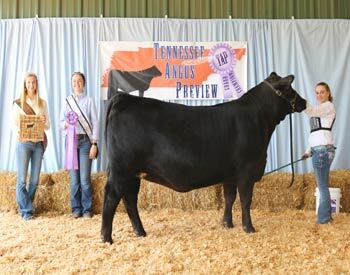 A A M Erica 5153 won Owned Intermediate Champion Heifer at the 2016 Tennessee Angus Association Junior Preview Show, June 3-4 in Lebanon, TN. 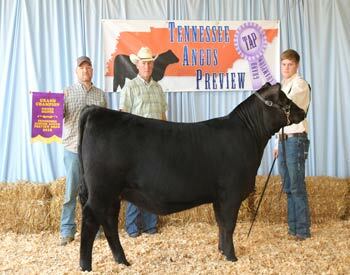 Dustin Thomas, Shelbyville, TN, owns the winning heifer. MLD Jaunty 508C won Owned Reserve Intermediate Champion Heifer at the 2016 Tennessee Angus Association Junior Preview Show, June 3-4 in Lebanon, TN. 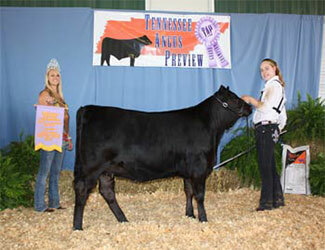 Emma Armstrong, Unionville, TN, owns the winning heifer. AED Rita 522C won Owned Senior Heifer Calf Champion at the 2016 Tennessee Angus Association Junior Preview Show, June 3-4 in Lebanon, TN. 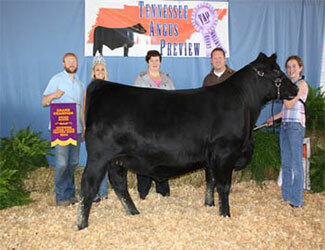 Dustin Thomas, Shelbyville, TN, owns the winning heifer. 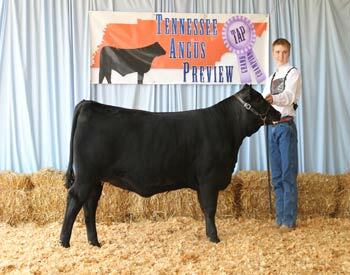 AED Shadoe 532C won Owned Reserve Senior Heifer Calf Champion at the 2016 Tennessee Angus Association Junior Preview Show, June 3-4 in Lebanon, TN. 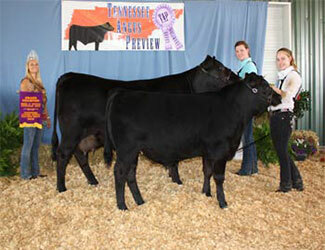 Kaitlyn Beavers, Louisville, TN, owns the winning heifer. These juniors won their Showmanship Divisions at the 2016 Tennessee Angus Association Junior Preview Show, June 3-4 in Lebanon, TN. Pictured from left are Grady Armstrong, Unionville, Peewee Champion; Weston Rowlett, Junior Champion, and Shelley Rowlett, Intermediate Champion, both of Martin; and Mary Oliver, Senior Champion, Union City. These juniors were named Reserve Champion in their Showmanship Divisions at the 2016 Tennessee Angus Association Junior Preview Show, June 3-4 in Lebanon, TN. 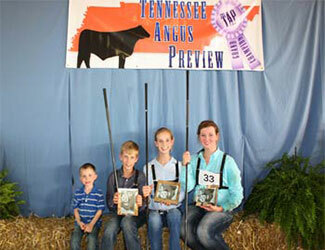 Pictured from left are Travis Turner, Covington, Reserve Intermediate Champion, and Kaitlyn Beavers, Louisville, Reserve Junior Champion. 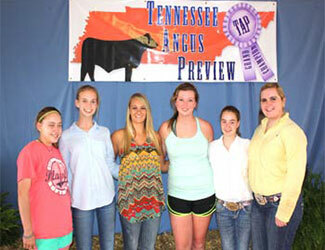 These juniors were elected to serve on the Tennessee Junior Angus Association Board of Directors at the 2016 Tennessee Angus Association Junior Preview Show, June 3-4 in Lebanon, TN. Pictured from left are Allison Davis, Shelbyville, Secretary; Shelley Rowlett, Martin, Historian; Kristen Brown, Cookeville, President; Mary Oliver, Union City, President-Elect; Deanna Schoolfield, Paris, Reporter; and Katie Whitted, Decatur, Treasurer. June 3-4, Lebanon, Tennessee. Chris Mullinix, Manhattan, KS., evaluated the 48 entries. 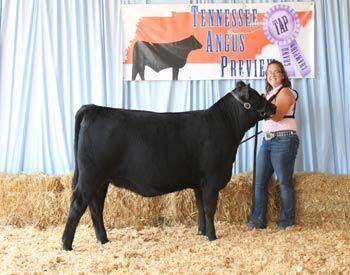 Photos by Alex Tolbert, American Angus Association. OLC Gambles Sure Shot 9505 won Grand Champion Bull at the 2016 Tennessee Angus Association Preview Show, June 3-5 in Lebanon, TN. Mary Oliver, Union City, TN, owns the October 2015 son of MC Gambles Right Way. He earlier won Senior Calf Champion. Wayback Upward B953 won Reserve Grand Champion Bull at the 2016 Tennessee Angus Association Preview Show, June 3-5 in Lebanon, TN. Wendell & Molly Phifer, Chapel Hill, TN, owns the November 2014 son of Sitz Upward 307R. He first claimed Senior Champion. Gambles Georgina 3055 won Grand Champion Owned Female at the 2016 Tennessee Angus Association Preview Show, June 3-5 in Lebanon, TN. 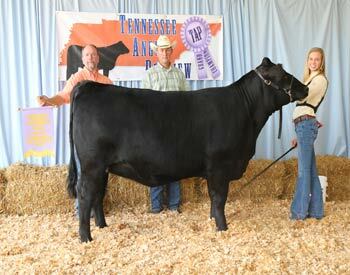 Mary Oliver, Union City, TN., owns the March 2015 daughter of HB Patton Superiority 4. She first won Junior Champion. DS Lady Peak Dot 0354 won Reserve Grand Champion Owned Female at the 2016 Tennessee Angus Association Preview Show, June 3-5 in Lebanon, TN. David Smith, Boulder, CO, owns the September 2014 daughter of S A V Brilliance 8077. She first won Senior Champion. AED Rita 328A won Grand Champion Cow/Calf Pair at the 2016 Tennessee Angus Association Preview Show, June 3-5 in Lebanon, TN. 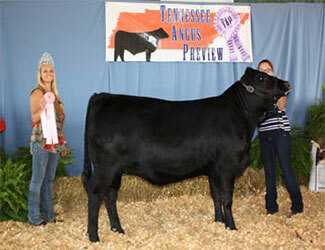 Allison Davis, Shelbyville, TN, owns the December 2013 daughter of Connealy Final Product. A November 2015 bull calf sired by PVF Insight 0129 completes the winning pair. QVS B K Georgina 293 won Reserve Grand Champion Cow/Calf Pair at the 2016 Tennessee Angus Association Preview Show, June 3-5 in Lebanon, TN. 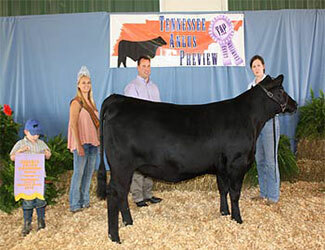 Jake Smith, Cullman, AL., owns the February 2013 daughter of S A V Pioneer 7301. A March 2016 heifer calf sired by Connealy Final Product is at side. AED Katinka 414B won Owned Reserve Senior Champion Female at the 2016 Tennessee Angus Association Preview Show, June 3-5 in Lebanon, TN. Allison Davis, Shelbyville, TN, owns the winning female. Shady Brook Revival 5001 won Junior Champion Bull at the 2016 Tennessee Angus Association Preview Show, June 3-5 in Lebanon, TN. 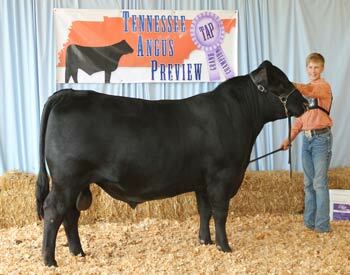 Sophia Santini, Leoma, TN, owns the winning bull. J K S Miss Cheyenne 2715 won Owned Reserve Junior Champion Heifer at the 2016 Tennessee Angus Association Preview Show, June 3-5 in Lebanon, TN. 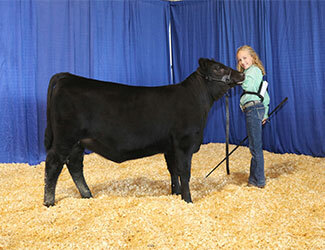 Mackenzie Harris, Ypsilanti, MI, owns the winning heifer. J K S Miss Cheyenne 2015 won Owned Intermediate Champion Heifer at the 2016 Tennessee Angus Association Preview Show, June 3-5 in Lebanon, TN. 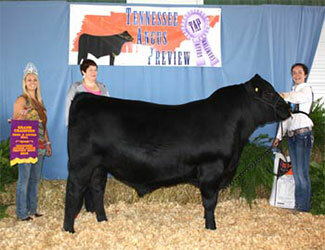 Quintin Smith, Lebanon, TN, owns the winning heifer. AED Yeti 110C won Reserve Senior Bull Calf Champion at the 2016 Tennessee Angus Association Preview Show, June 3-5 in Lebanon, TN. 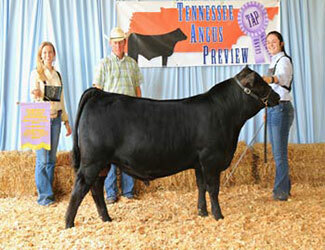 Allison Davis, Shelbyville, TN, owns the winning bull. Shady Brook Barbaramere 5516 won Owned Senior Heifer Calf Champion at the 2016 Tennessee Angus Association Preview Show, June 3-5 in Lebanon, TN. 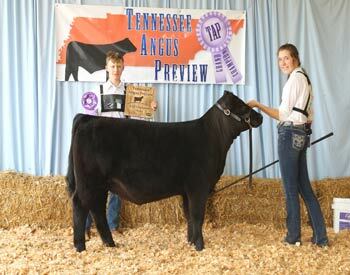 Sophia Santini, Leoma, TN, owns the winning heifer. AED Shadoe 532C won Owned Reserve Senior Heifer Calf Champion at the 2016 Tennessee Angus Association Preview Show, June 3-5 in Lebanon, TN. 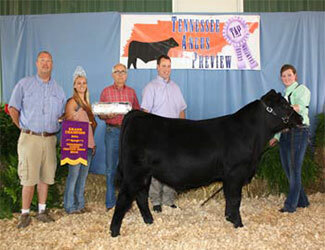 Kaitlyn Beavers, Louisville, TN, owns the winning heifer. June 10, 2017, Nashville, Tennessee. Joe Myers, Harrodsburg, Ky., evaluated the 96 entries. 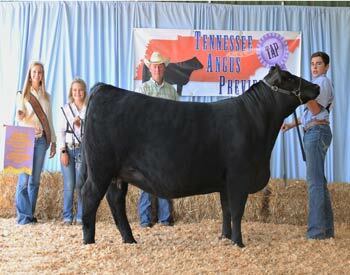 Photos by Alex Tolbert, American Angus Association. 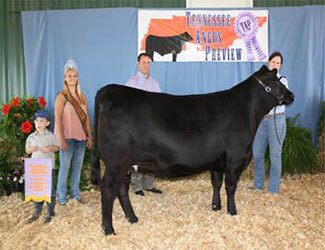 Shady Brook Revival 5001 won grand champion bred-and-owned bull at the 2017 Tennessee State Fair Junior Angus Show, Sept. 10 in Nashville, Tenn. Sophia Santini, Leoma, Tenn., owns the January 2015 son of Dameron First Class. Joe Myers, Harrodsburg, Ky., evaluated the 96 entries. 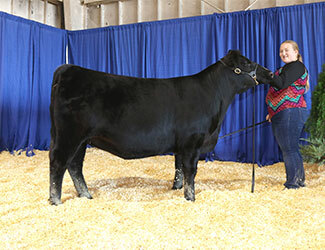 R & K OB Conversation 601 won reserve grand champion bred-and-owned bull at the 2017 Tennessee State Fair Junior Angus Show, Sept. 10 in Nashville, Tenn. Kalli Flanders, Buffalo, Ky., owns the May 2016 son of SAC Conversation. Joe Myers, Harrodsburg, Ky., evaluated the 96 entries. 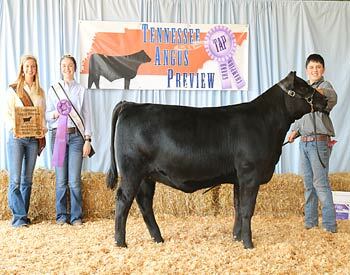 AED Rita 627D won grand champion bred-and-owned female at the 2017 Tennessee State Fair Junior Angus Show, Sept. 10 in Nashville, Tenn. Allison Davis, Shelbyville, Tenn., owns the November 2016 daughter of SAC Conversation. 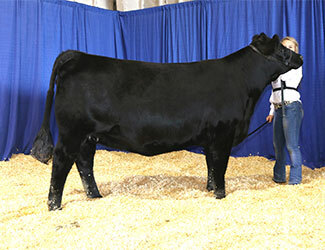 She also won owned reserve senior calf champion. Joe Myers, Harrodsburg, Ky., evaluated the 96 entries. 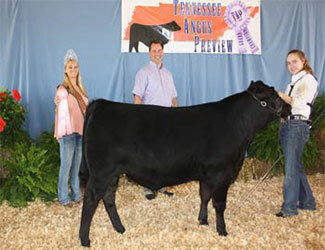 PHF Georgina 683 won grand champion owned female at the 2017 Tennessee State Fair Junior Angus Show, Sept. 10 in Nashville, Tenn. Katie Smith, Cullman, Ala., owns the September 2016 daughter of S A V Bismarck 5682. 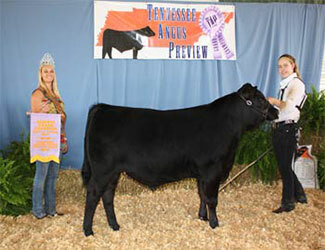 She first won senior calf champion. Joe Myers, Harrodsburg, Ky., evaluated the 96 entries. 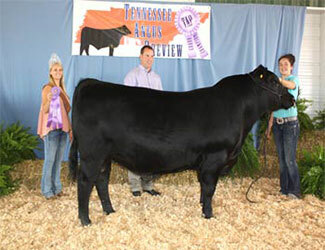 Moffitt Forever Lady M608 won reserve grand champion owned female at the 2017 Tennessee State Fair Junior Angus Show, Sept. 10 in Nashville, Tenn. Samantha Roberts, Athens, Tenn., owns the February 2016 daughter of PVF Insight 0129. She first won junior champion. Joe Myers, Harrodsburg, Ky., evaluated the 96 entries. 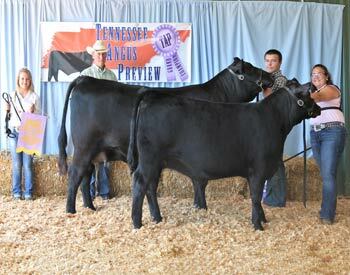 Champion Hill Georgina 8754 won grand champion cow-calf pair at the 2017 Tennessee State Fair Junior Angus Show, Sept. 10 in Nashville, Tenn. Catherine Cowles, Rockfield, Ky., owns the January 2015 daughter of S A V Hesston 2217. A January 2017 heifer calf sired by S A V Pioneer 7301 completes the winning duo. Joe Myers, Harrodsburg, Ky., evaluated the 96 entries. 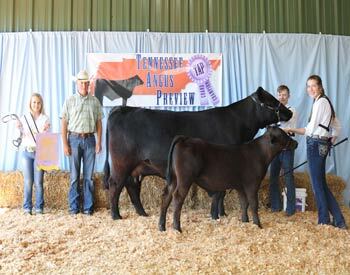 Shady Brook Everelda 5045 won reserve grand champion bred-and-owned cow-calf pair at the 2017 Tennessee State Fair Junior Angus Show, Sept. 10 in Nashville, Tenn. Sophia Santini, Leoma, Tenn., owns the February 2015 daughter of Shady Brook Titan 1026. A February 2017 heifer calf sired by Werner Flat Top 4136 completes the winning duo. Joe Myers, Harrodsburg, Ky., evaluated the 96 entries. 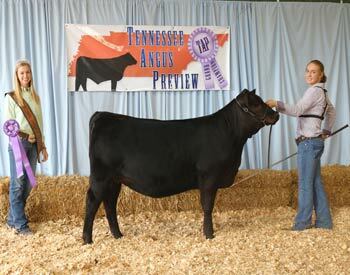 RX Blueblood 15 won owned senior champion female at the 2017 Tennessee State Fair Junior Angus Show, Sept. 10 in Nashville, Tenn. Kylie Cornelius, Athens, Tenn., owns the winning female. 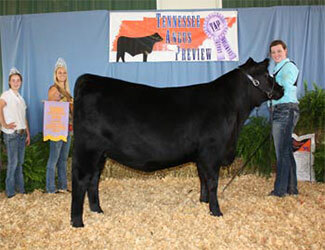 RX Beauty 140H won owned reserve senior champion female at the 2017 Tennessee State Fair Junior Angus Show, Sept. 10 in Nashville, Tenn. Makayla Dockery, Limestone, Tenn., owns the winning female. BNWZ Ellen 906 won owned reserve junior champion heifer at the 2017 Tennessee State Fair Junior Angus Show, Sept. 10 in Nashville, Tenn. Jonathan McGinnis, Shelbyville, Ky., owns the winning heifer. 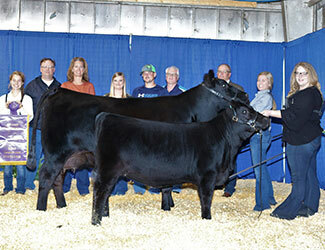 R & K Proven Queen 706 won owned intermediate champion heifer at the 2017 Tennessee State Fair Junior Angus Show, Sept. 10 in Nashville, Tenn. Kalli Flanders, Buffalo, Ky., owns the winning heifer. 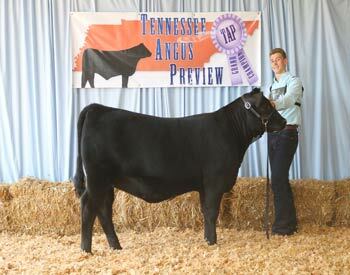 Seldom Rest Sandy 6073 won owned reserve intermediate champion heifer at the 2017 Tennessee State Fair Junior Angus Show, Sept. 10 in Nashville, Tenn. Jonathan McGinnis, Shelbyville, Ky., owns the winning heifer. 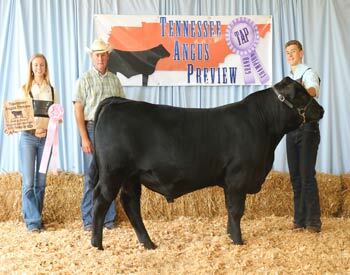 Shady Brook Renegade 7527 won grand champion bred-and-owned bull at the 2018 Tennessee Angus Association Junior Preview Show, June 9 in Lebanon, Tenn. Sophia Santini, Leoma, Tenn., owns the September 2017 son of HA Cowboy Up 5405. 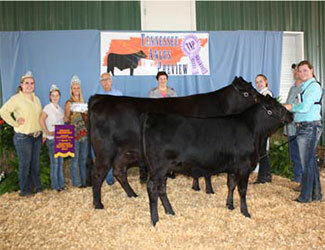 He first won senior calf champion. Jon Davis, Gallipolis, Ohio, evaluated the 84 entries. Photo by Alex Tolbert, American Angus Association. AED Tommy Boy 730E won reserve grand champion bred-and-owned bull at the 2018 Tennessee Angus Association Junior Preview Show, June 9 in Lebanon, Tenn. Allison Davis, Shelbyville, Tenn., owns the December 2017 son of PVF Insight 0129. 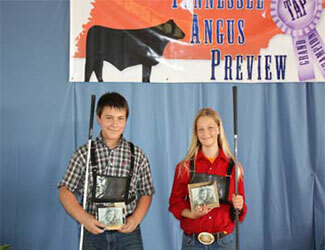 He first won calf champion. Jon Davis, Gallipolis, Ohio, evaluated the 84 entries. Photo by Alex Tolbert, American Angus Association. 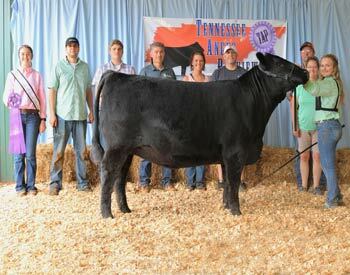 Shady Brook Blackcap 6517 won grand champion bred-and-owned female at the 2018 Tennessee Angus Association Junior Preview Show, June 9 in Lebanon, Tenn. Sophia Santini, Leoma, Tenn., owns the September 2016 daughter of Dameron First Class. She first won senior champion. Jon Davis, Gallipolis, Ohio, evaluated the 84 entries. 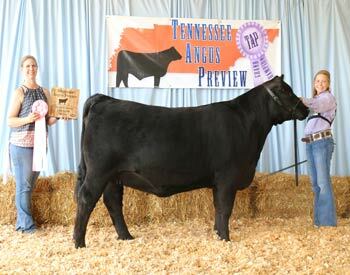 Photo by Alex Tolbert, American Angus Association. 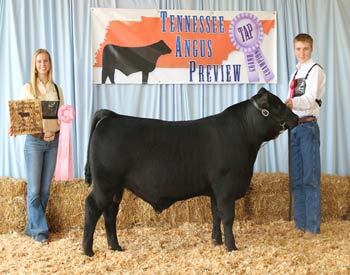 3ACES Shadoe 9056 won reserve grand champion bred-and-owned female at the 2018 Tennessee Angus Association Junior Preview Show, June 9 in Lebanon, Tenn. Tristan Meier, Clinton, Tenn., owns the October 2016 daughter of Gambles Safe Bet. 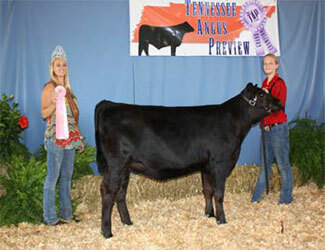 She first won reserve senior champion. Jon Davis, Gallipolis, Ohio, evaluated the 84 entries. Photo by Alex Tolbert, American Angus Association. 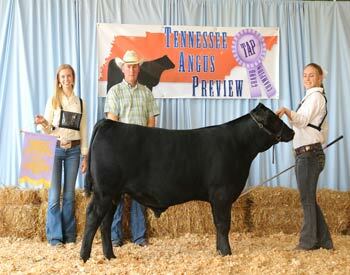 Dameron C-5 Cheyenne 7181 won grand champion owned female at the 2018 Tennessee Angus Association Junior Preview Show, June 9 in Lebanon, Tenn. Chas Rowlett, Cypress Inn, Tenn., owns the September 2017 daughter of Silveiras Style 9303. 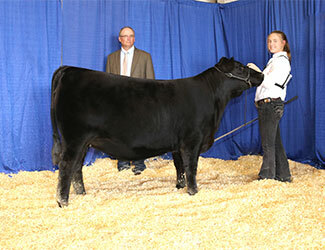 She first won senior calf champion. Jon Davis, Gallipolis, Ohio, evaluated the 84 entries. Photo by Alex Tolbert, American Angus Association. Wallace Rosa 663 won reserve grand champion owned female at the 2018 Tennessee Angus Association Junior Preview Show, June 9 in Lebanon, Tenn. Shelley Rowlett, Martin, Tenn., owns the September 2016 daughter of Wallace First Frontier 2105. She first won senior champion. Jon Davis, Gallipolis, Ohio, evaluated the 84 entries. Photo by Alex Tolbert, American Angus Association. 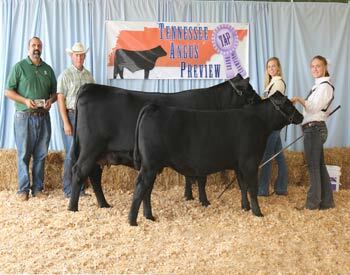 AED Blackbird 601D won supreme champion overall and grand champion bred-and-owned cow-calf pair at the 2018 Tennessee Angus Association Junior Preview Show, June 9 in Lebanon, Tenn. Allison Davis, Shelbyville, Tenn., owns the January 2016 daughter of Connealy Final Product. A December 2017 bull calf sired by PVF Insight 0129 is at side. Jon Davis, Gallipolis, Ohio, evaluated the 84 entries. Photo by Alex Tolbert, American Angus Association. 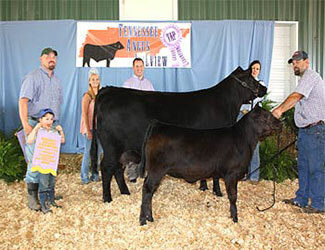 TAF Enchantress 5T11 won reserve grand champion bred-and-owned cow-calf pair at the 2018 Tennessee Angus Association Junior Preview Show, June 9 in Lebanon, Tenn. John Turner, Covington, Tenn., owns the November 2015 daughter of EXAR Denver 2002B. A November 2017 heifer calf sired by SAC Conversation completes the winning duo. Jon Davis, Gallipolis, Ohio, evaluated the 84 entries. Photo by Alex Tolbert, American Angus Association. 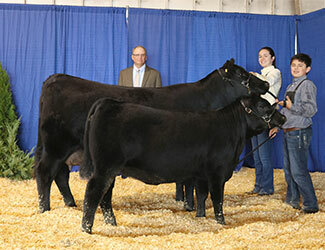 Curtin Forever Lady 5439 won grand champion owned cow-calf pair at the 2018 Tennessee Angus Association Junior Preview Show, June 9 in Lebanon, Tenn. Morgan Riley, Chapel Hill, Tenn., owns the September 2015 daughter of EXAR Blue Chip 1877B. A January 2018 bull calf sired by Quaker Hill Rampage 0A36 is at side. Jon Davis, Gallipolis, Ohio, evaluated the 84 entries. Photo by Alex Tolbert, American Angus Association. AED Rita 522C won reserve grand champion owned cow-calf pair at the 2018 Tennessee Angus Association Junior Preview Show, June 9 in Lebanon, Tenn. Dustin Thomas, Shelbyville, Tenn., owns the September 2015 daughter of PVF Insight 0129. She first won Quaker Hill Rampage 0A36. Jon Davis, Gallipolis, Ohio, evaluated the 84 entries. Photo by Alex Tolbert, American Angus Association. RC Weigh Up 702 won bred-and-owned junior champion bull at the 2018 Tennessee Angus Association Junior Preview Show, June 9 in Lebanon, Tenn. Weston Rowlett, Martin, Tenn., owns the winning bull. Photo by Alex Tolbert, American Angus Association. 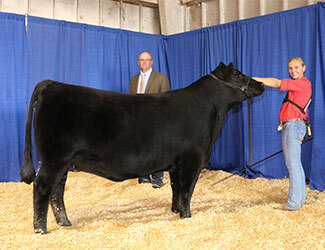 SAF Emblynette 3027 won bred-and-owned junior champion heifer at the 2018 Tennessee Angus Association Junior Preview Show, June 9 in Lebanon, Tenn. Deanna Schoolfield, Paris, Tenn., owns the winning heifer. Photo by Alex Tolbert, American Angus Association. 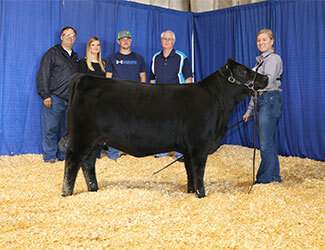 RX Barbara 157H won owned junior champion heifer at the 2018 Tennessee Angus Association Junior Preview Show, June 9 in Lebanon, Tenn. Makayla Dockery, Limestone, Tenn., owns the winning heifer. Photo by Alex Tolbert, American Angus Association. 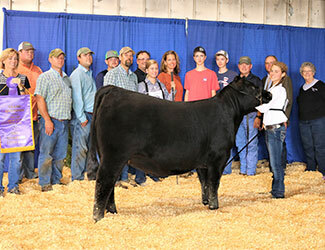 Duck River Erica 702 won owned reserve junior champion heifer at the 2018 Tennessee Angus Association Junior Preview Show, June 9 in Lebanon, Tenn. Lila Sims, Mc Ewen, Tenn., owns the winning heifer. Photo by Alex Tolbert, American Angus Association. 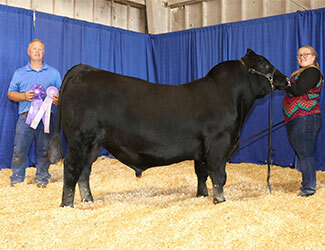 SRBK Georgina E29 won owned intermediate champion heifer at the 2018 Tennessee Angus Association Junior Preview Show, June 9 in Lebanon, Tenn. Bridgett Page, Ashland City, Tenn., owns the winning heifer. Photo by Alex Tolbert, American Angus Association. 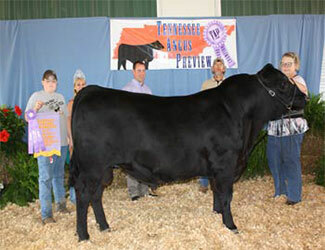 MAF 210 Black Grit 719 won bred-and-owned reserve senior bull calf champion at the 2018 Tennessee Angus Association Junior Preview Show, June 9 in Lebanon, Tenn. Ben Mayfield, Pulaski, Tenn., owns the winning bull. Photo by Alex Tolbert, American Angus Association. 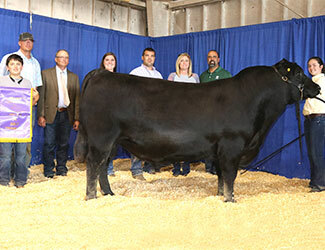 AED Blackbird 718E won owned reserve senior heifer calf champion at the 2018 Tennessee Angus Association Junior Preview Show, June 9 in Lebanon, Tenn. Dustin Thomas, Shelbyville, Tenn., owns the winning heifer. Photo by Alex Tolbert, American Angus Association. BBF Elvis ETCB won bred-and-owned reserve bull calf champion at the 2018 Tennessee Angus Association Junior Preview Show, June 9 in Lebanon, Tenn. James Russell, Tullahoma, Tenn., owns the winning bull. Photo by Alex Tolbert, American Angus Association. 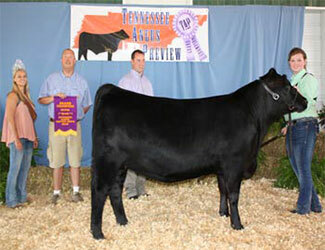 TAF Enchantress 7T11 won bred-and-owned heifer calf champion at the 2018 Tennessee Angus Association Junior Preview Show, June 9 in Lebanon, Tenn. John Turner, Covington, Tenn., owns the winning heifer. Photo by Alex Tolbert, American Angus Association. 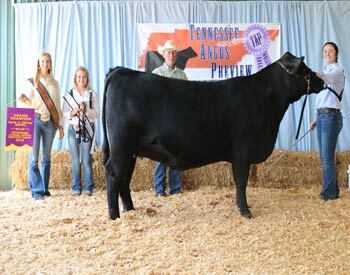 AED Blackbird 723E won owned heifer calf champion at the 2018 Tennessee Angus Association Junior Preview Show, June 9 in Lebanon, Tenn. Juliann Fears, Fayetteville, Tenn., owns the winning heifer. Photo by Alex Tolbert, American Angus Association. 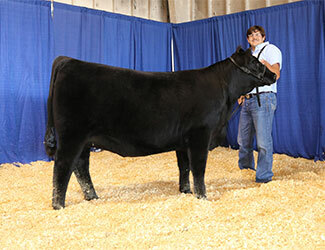 Shady Brook Donna 7513 won bred-and-owned late senior heifer calf champion at the 2018 Tennessee Angus Association Junior Preview Show, June 9 in Lebanon, Tenn. Nate Santini, Leoma, Tenn., owns the winning heifer. Photo by Alex Tolbert, American Angus Association. BBF Altune E925 won bred-and-owned reserve late senior heifer calf champion at the 2018 Tennessee Angus Association Junior Preview Show, June 9 in Lebanon, Tenn. James Russell, Tullahoma, Tenn., owns the winning heifer. Photo by Alex Tolbert, American Angus Association. 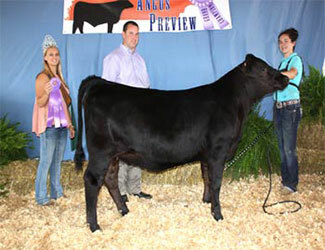 AED Rita 715E won bred-and-owned early senior heifer calf champion at the 2018 Tennessee Angus Association Junior Preview Show, June 9 in Lebanon, Tenn. Allison Davis, Shelbyville, Tenn., owns the winning heifer. Photo by Alex Tolbert, American Angus Association. 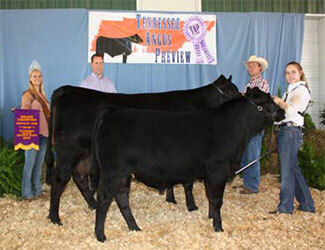 MAF 112 Madame Erica 725 won bred-and-owned reserve early senior heifer calf champion at the 2018 Tennessee Angus Association Junior Preview Show, June 9 in Lebanon, Tenn. Ben Mayfield, Pulaski, Tenn., owns the winning heifer. Photo by Alex Tolbert, American Angus Association. 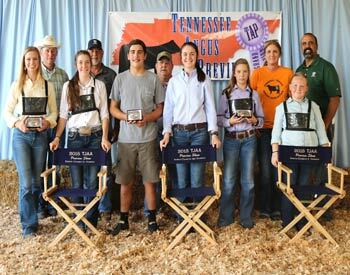 These young Angus enthusiasts won top honors in their division of showmanship at the 2018 Tennessee Angus Association Junior Preview Show, June 9 in Lebanon, Tenn. Pictured front row from left are Shelley Rowlett, Martin, senior champion; Juliann Fears, Fayetteville, reserve senior champion; Tristan Meier, Clinton, intermediate champion; Sophia Santini, Leoma, reserve intermediate champion; Lila Sims, Mc Ewen, junior champion; and Avery Rowlett, Cypress Inn, reserve junior champion. Back row from left are Jon Davis, judge; Kenneth Armstrong and Jimmy Armstrong, sponsors; and Amy and Vince Santini, junior advisors. Photo by Alex Tolbert, American Angus Association.